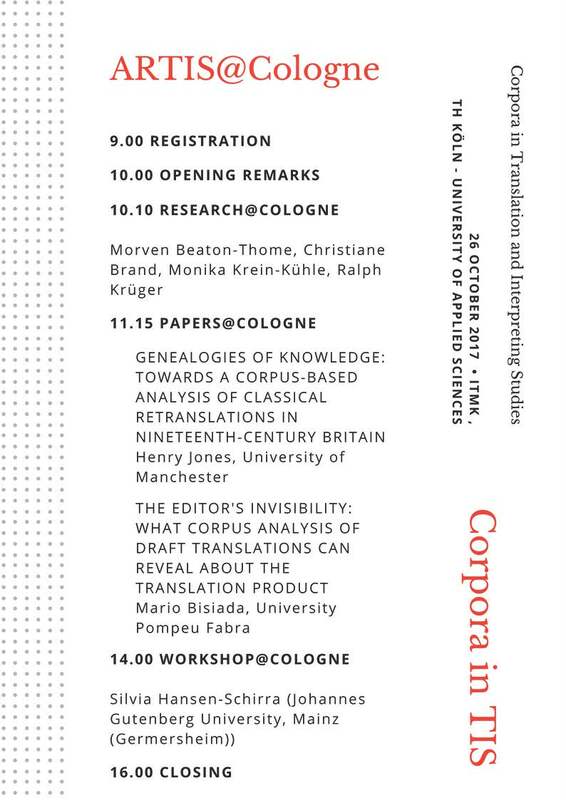 I'm currently organising the Translation in Transition 4 conference at the Universitat Pompeu Fabra. This year, I also organise the I Congreso de Estudiantes de Grado de Lenguas Modernas y Aplicadas (CELMA) at the UPF. To contact me, please use the buttons in the menu on the right. Walker in forests & mountains, where I take photos sometimes. A recurrent accusation in political discourse across languages is that someone “hasn't done their homework”. Along with other metaphors such as “model pupil” and “learning lessons”, the expression represents a metaphor drawn from the domain of education. In a 2018 article published in Discourse & Society , I argue that the expression is a structural metaphor and an understatement, and thus works as a figurative frame, presenting often complex tasks as simple schoolwork, thus manipulating public debates. Based on an analysis of the Corpus of Historical & Contemporary American English, HANSARD corpus of British parliament speeches and the ZEIT corpus, I show that the metaphor became widespread in English in the 1960s and spread into German around 20 years later. While it was first used to say “we have done our homework” or “X has not done their homework”, thus praising oneself or accusing others, it is now used regularly in neutral contexts. Instead, it has become widespread to refer to issues in public debates as “homework”. I argue that this is problematic due to the manipulative force of the metaphor, as it frames issues in a school context, shapes the way we perceive discourse actors and pre-empts potential criticism by presenting a particular solution as a non-negotiable duty, as “homework”. I hope to continue this line of research into other languages such as Spanish (“hacer los deberes”) and Catalan (“fer els deures”). Die Benutzung der Metapher “Hausaufgaben machen” suggeriert ungleiche Machtverhältnisse und ersetzt Debatte durch moralische Verpflichtung. So fördert sie den Populismus. This research is part of the MODEVIGTRAD project (Evidentiality and epistemicity in texts of evaluative discourse genres. 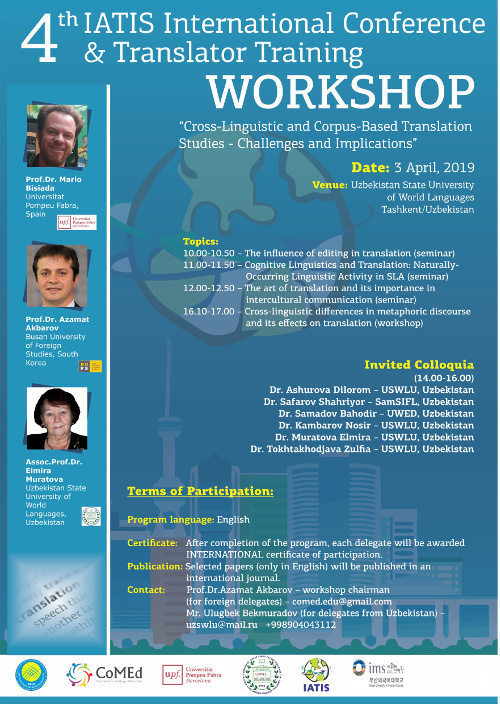 Contrastive analysis and translation), led by Montserrat González Condom. The project is funded by the Spanish Ministerio de Economía y Competitividad (FFI2014-57313-P). When we talk about phenomena of translated language, we usually equate translated language with the language we find in translated books, magazines, newspapers or other such published translations. What we often forget is that in the production of translated documents, there are many intermediate stages such as revision, editing or proofreading where the language in the text is changed, sometimes significantly. While some phenomena like sentence splitting are caused by both translators and editors alike (see my article in Applied Linguistics ), I also show in this book chapter that translators and editors are linguistic actors that are guided by noticeably different purposes. On the one hand, they both make extensive changes to nominalisations (see my article in The Translator ), which I have shown in this article published in Perspectives to happen especially when the nominalisation is postmodified, for instance by genitive attributes. On the other hand, editors also eliminate passive constructions from translations, especially when the verb is in the past tense (article accepted in Across Languages and Cultures ). With respect to a proposed “mediation effect”, it seems that translating and editing are rather different activities. Thus, I argue for a greater inclusion of unedited texts in translation corpora (see my article published in Target ). Translation as a site of language contact can play a role in language change. I'm interested in the effects that the contact of two languages both in the mind of the translator and in that of the reader can have on each other. In my PhD project, I have concentrated on the analysis of parataxis and hypotaxis in English−German translation, which has found some evidence for a diachronic decrease of hypotactic constructions in causal (article published in Languages in Contrast ) and concessive clauses (article published in Text & Talk ) in translated language, although this trend is not corroborated in non-translated language. As I report in those articles, there does seem to be a trend towards a greater use of sentence-initial concessive conjunctions in German business articles, which may well have been affected by language contact in translation. Hochberg, Amy. In progress. Identifying pragmatic markers in public service announcements. PhD in Translation Studies. del Río, Amalia. In progress. Tendencias en la traducción literal de memes del inglés al español. MA Translation Studies. Florit, Júlia. In progress. Comparative analysis of stress-shifting pronominal encliticisation in two Menorcan towns. BA Applied Languages. Hernández, Clàudia. In progress. ¡Que caes el puchero! Verbos inacusativos y su transividad en Castilla y León. BA Applied Languages. Morey, Pilar. In progress. La interferència lingüística entre català i castellà a les Illes Balears. BA Applied Languages. Reverté, Mariona. In progress. Una anàlisi prosòdica del dialecte tortosí i lleidatà. BA Applied Languages. Ricart, Tània. In progress. Neologismes del català en l'àmbit de la gastronomia: Anàlisi de la revista gastronòmica Cuina . BA Applied Languages. Sagué, Maria del Mar. In progress. L'adquisició dels pronoms clítics ci i ne de l'italià com a L2 i com l'afecta l'existència de pronoms equivalents en la llengua materna dominant: els bilingües de català i castellà. BA Applied Languages. Shchinova, Nadezda. In progress. An analysis of L1 Spanish and L1 Russian students’ interlanguage pragmatic competence in L2 French. BA Applied Languages. Knoll, Rebecca. 2018. Language and style in Truman Capote's “Breakfast at Tiffany's” − the German translations from 1959 and 2006. MA in Translation Studies. Cherta, Joaquín. 2018. Anàlisi descriptiva de les interferències en el lèxic català col·loquial en un programa de televisió. BA Applied Languages. Díaz, Ariadna. 2018. Per què són més recurrents les frases fetes calcades que les expressions “genuïnes”? El cas d' amb la que està caient . BA Applied Languages. Hochberg, Amy. 2017. From corpses to corpus: Identifying pragmatic markers in public service announcements. MA in Translation Studies. Yao, Gang. 2017. From migrant to migrante : A corpus-based analysis. MA in Theoretical and Applied Linguistics. Farré, Guillem. 2017. Vergleichende Analyse der Übersetzungen ins Spanische und Katalanische von Er ist wieder da . BA Translating and Interpreting. Here is a complete list of my publications sorted by research topic. A frequently encountered expression in political discourse across languages is the assertion that someone has not “done their homework”. As the expression is a combination of structural metaphor and understatement, it is a figurative frame that simplifies public debates by presenting complex issues such as economic reforms as simple tasks and stifles critical and consensual political debates by replacing questions of fairness and adequacy with unquestionable moral obligation. In spite of this manipulative force, metaphor research has paid little attention to this metaphor. I investigate its emergence and pragmatic effects in American and German newspaper discourse through the COHA/COCA and Die ZEIT corpora. Findings for both English and German show that, while the metaphor was originally used for positive self- and negative other-representation, it is now used increasingly often without specifying whether or not someone has done their homework, which is evidence to suggest that it has become accepted in public discourse as a normal way of framing political issues. Editing nominalisations in English−German translation: When do editors intervene? [R] in Germanic Dialects — Tradition or Innovation? At the University of Kent, I taught German linguistics, German phonetics & phonology, German as a second language and Translation between English and German. I also supervised extended year abroad essays on linguistic issues of present-day German. Here is a list of events I've attended as invited speaker. Click on the icon to download the slides.